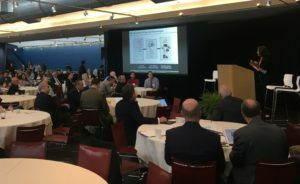 Thanks to all who came to CleanTech Innovation Showcase 2018! Dr. Sunita Satyapal of the Department of Energy kicked off the day leading a great panel discussion on the potential of hydrogen fuel cells across sectors. Read this Geekwire article to learn more, and stay tuned for more recaps from the day.